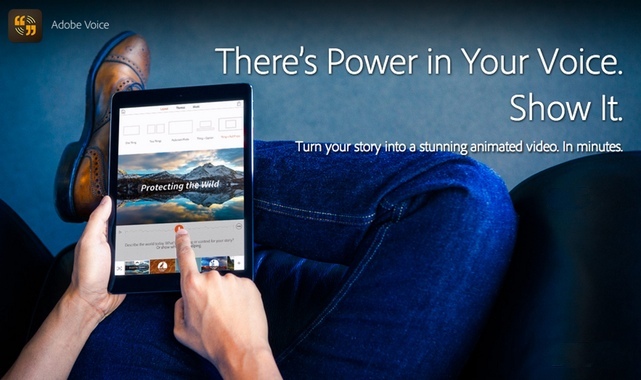 Adobe just released a new iPad app for creating quick stories on the go – Voice. Think of it as a streamlined keynote or powerpoint that will allow you to quickly put together a video with pictures, text, voice overs, and video. They give you a library of graphics and music you can use to add to your stories as well. They give you all the expected sharing options (FaceBook, Twitter, Email), so sharing your creations is super easy. It looks like it could be a great way to put together simple, quick highlight videos at summer camp, mission trips, or other activities to share with parents and your Church the awesome things your group is up to. Right now it’s only for iPad, but the price is right since it’s FREE. I’d recommend giving it a try and letting us know what you think. I’d love to see the stories you put together with it. Thanks Chris! Looking forward to checking this app out!